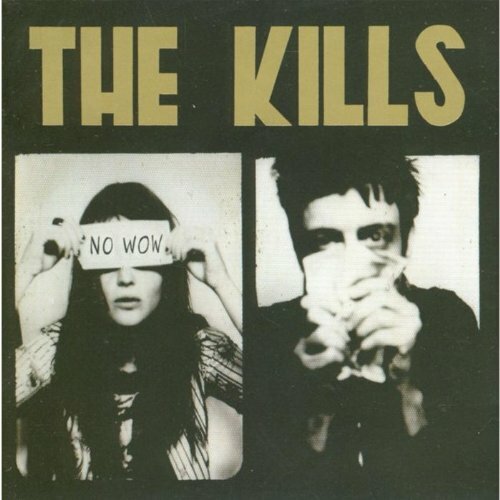 With a new single The Good Ones and their highly anticipated second album No Wow set for release in February 7th and 21st respectively, The Kills play their first UK headlining tour since March 2002 with dates in January/February 2005. The band are currently previewing tracks from No Wow on tour in Japan, following a club tour of the U.S where the audience at their gig at LA’s Troubadour attracted the likes of Michael Stipe, Courtney Love, Ha Mar Superstar and legendary LA Times critic Bob Hilburn. JANUARY 30th, OXFORD, Zodiac; 31st, BRIGHTON, Concorde; FEBRUARY 1st, LEEDS, Cockpit; 2nd, NEWCASTLE, Uni Global; 4th, LIVERPOOL, Academy; 5th, GLASGOW, Oran Mor; 6TH, ABERDEEN, Lemon Tree; 8th, MANCHESTER, Academy 2; 9th, LONDON, Electric Ballroom; 11TH, NOTTINGHAM, Rescue Rooms; 12th, SHEFFIELD, Leadmill.